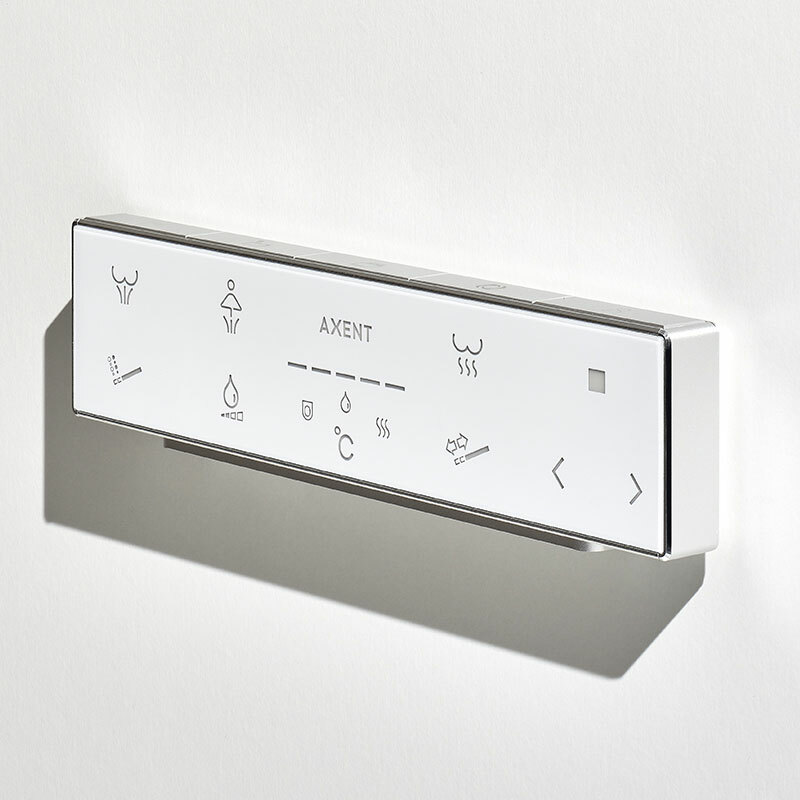 Shower toilet with tankless technology. 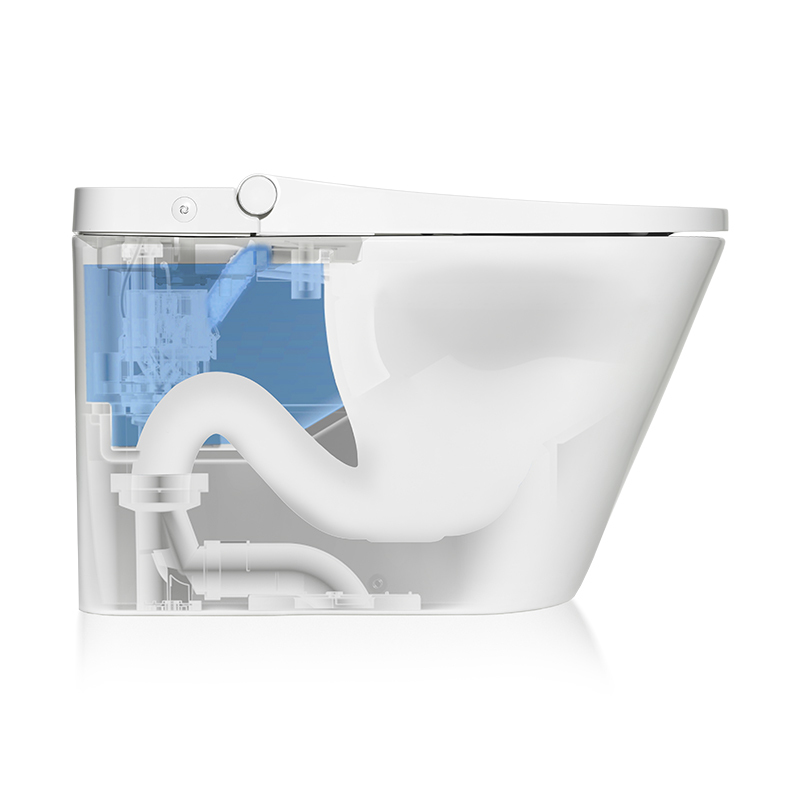 This award-winning shower toilet brings style into your bathroom. 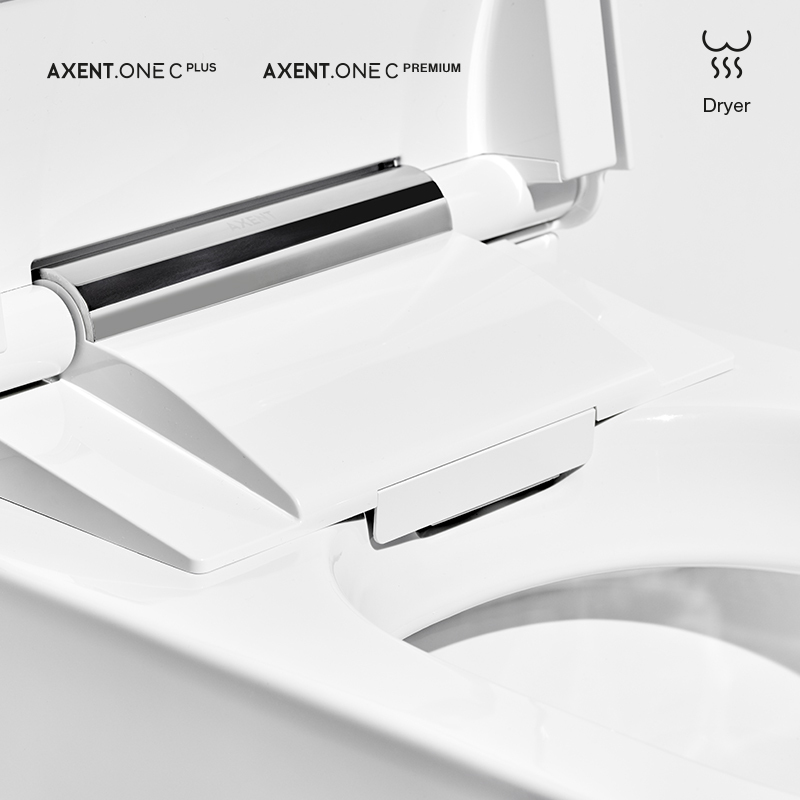 AXENT.ONE C features rear wash, front wash, warm-air dry, night-light, VACUUM V FLUSH, our patented Easy Clean glaze, auto flush, a convenient remote control and comfortable seat heating. 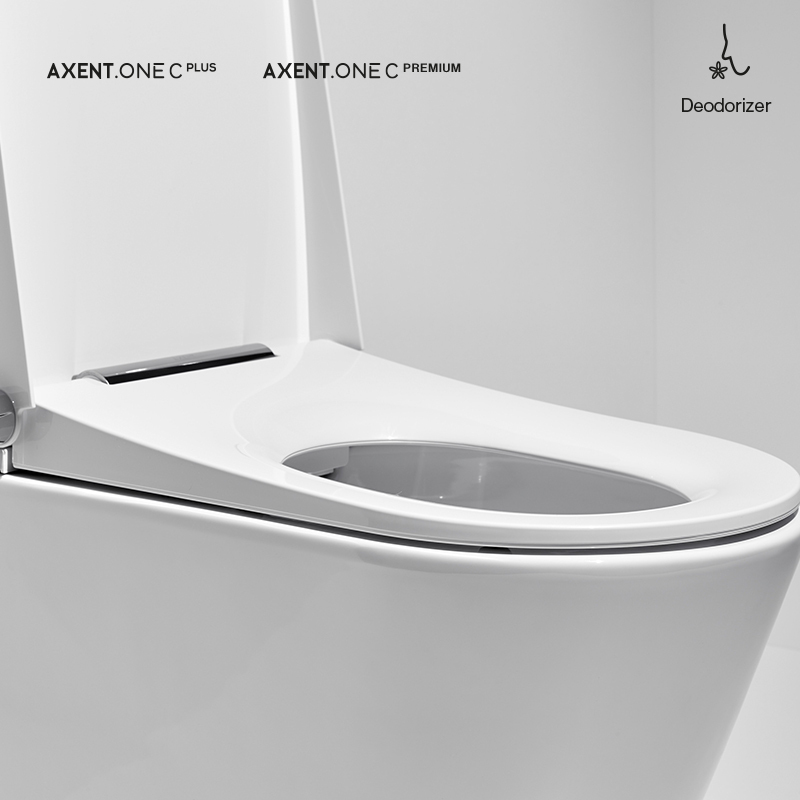 The AXENT.ONE C design eliminates all unnecessary details. 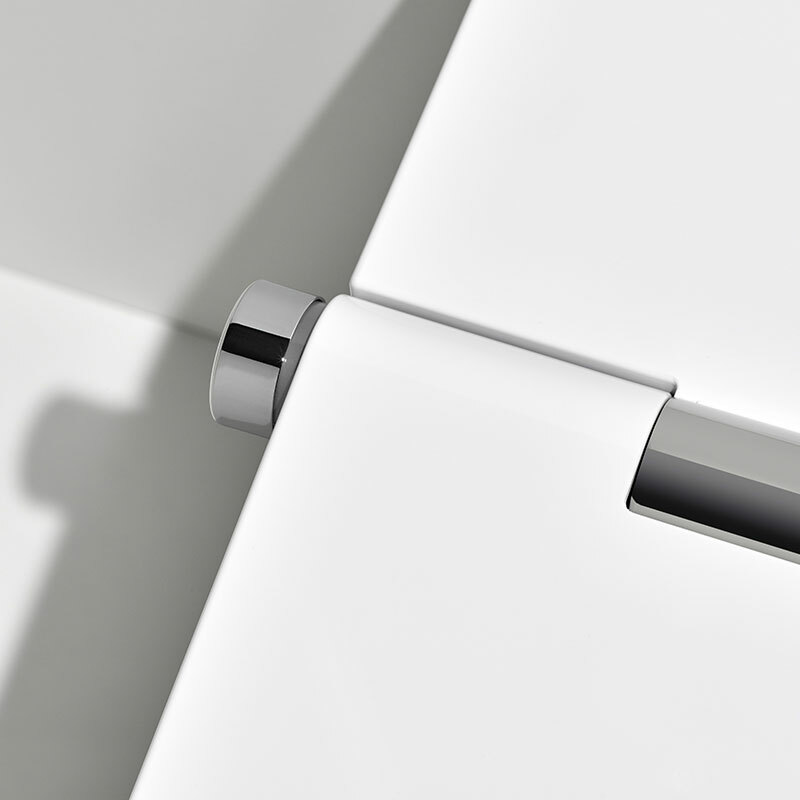 It is simple and balanced, clear and minimalist. Only the essentials are visible. 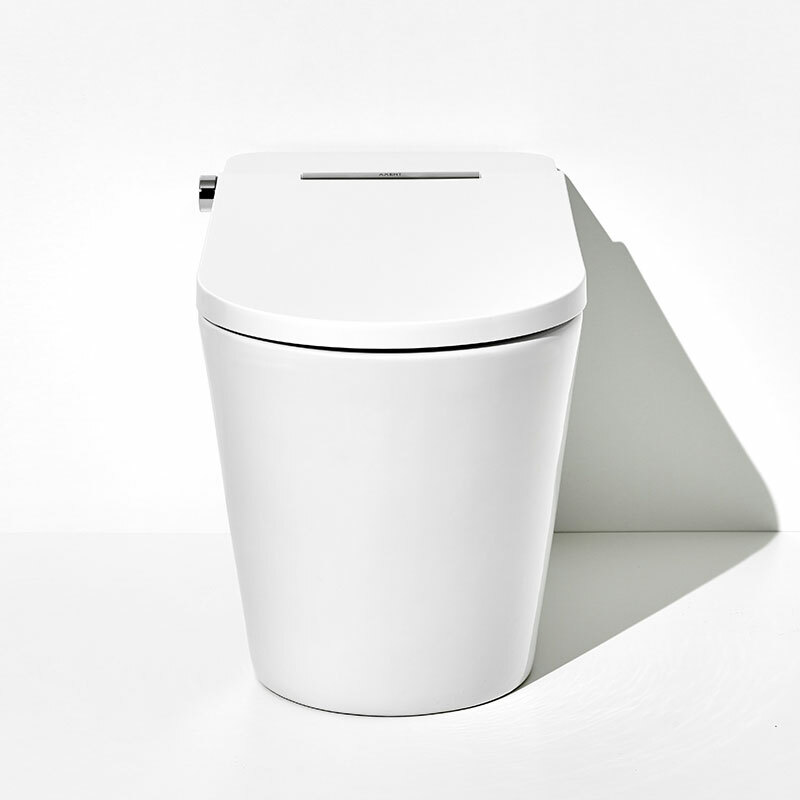 The lid, despite its small height, has enough space for the innovative technology. 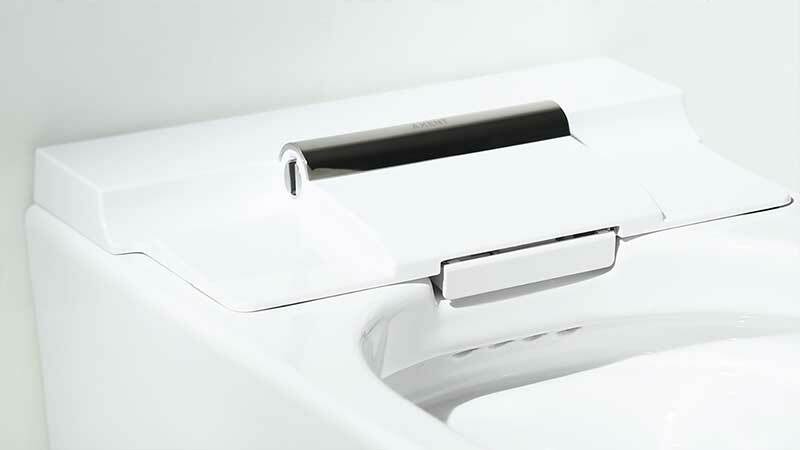 A single button, conveniently located discreetly to the right of the toilet bowl, controls all the important functions and is as easy to use as the crown on a Swiss timepiece. 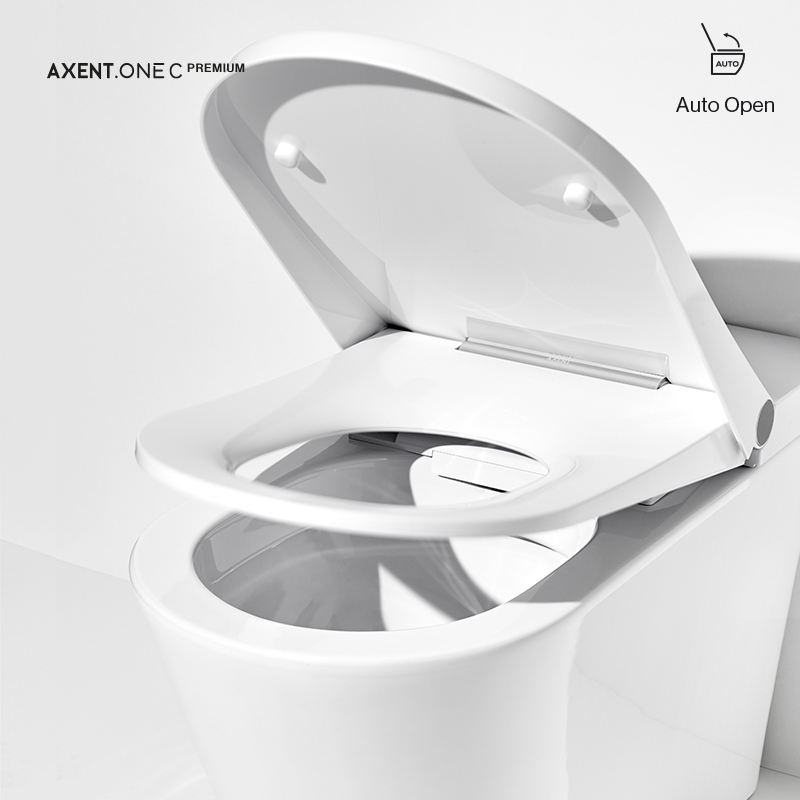 The innovative AXENT flushing technology saves 25% water and does not need a cistern or an electric pump. 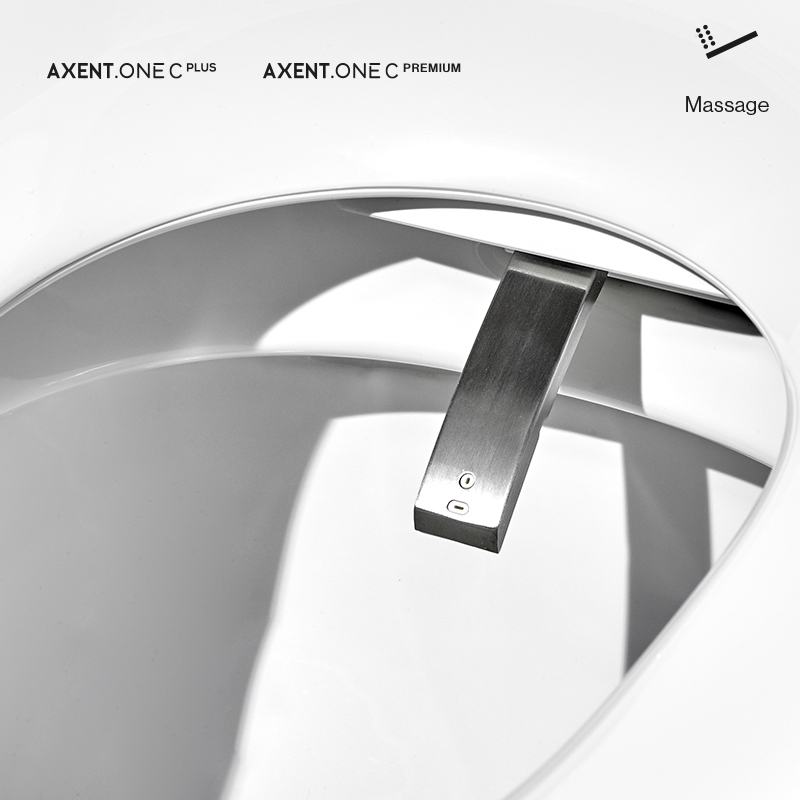 AXENT.ONE redefines modern toilet hygiene and transforms a bathroom into a sanctuary of luxury. 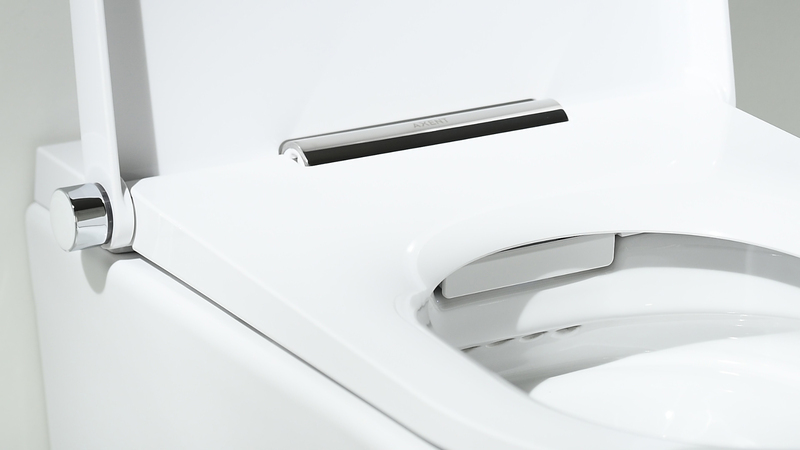 The stain-resistant surface and the rimless profile help eliminate bacteria, making it easier to keep everything clean. 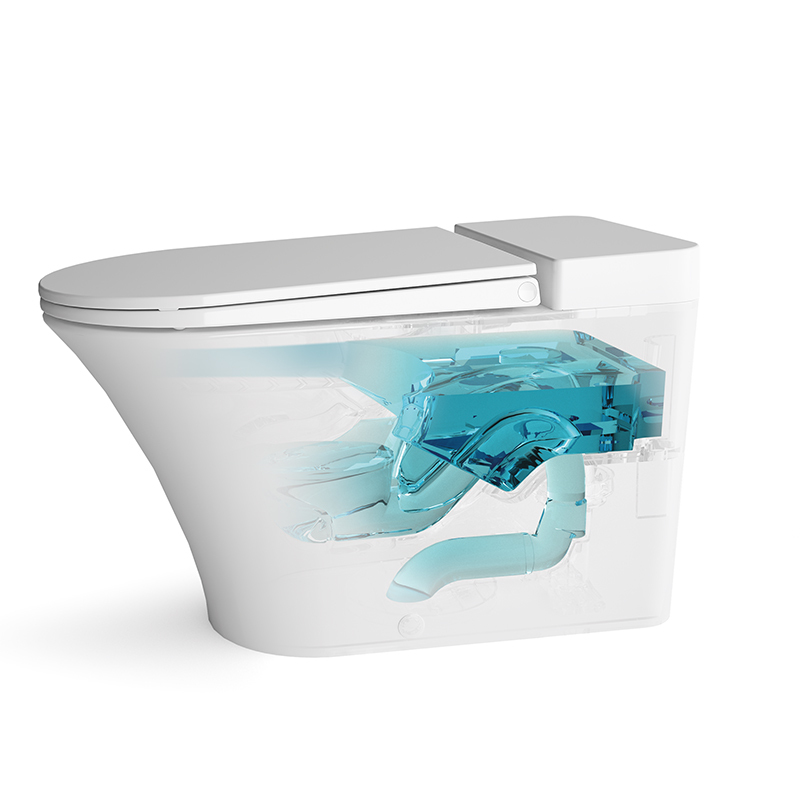 The toilet lid and cover, if heavily soiled, can easily be removed, cleaned and remounted. 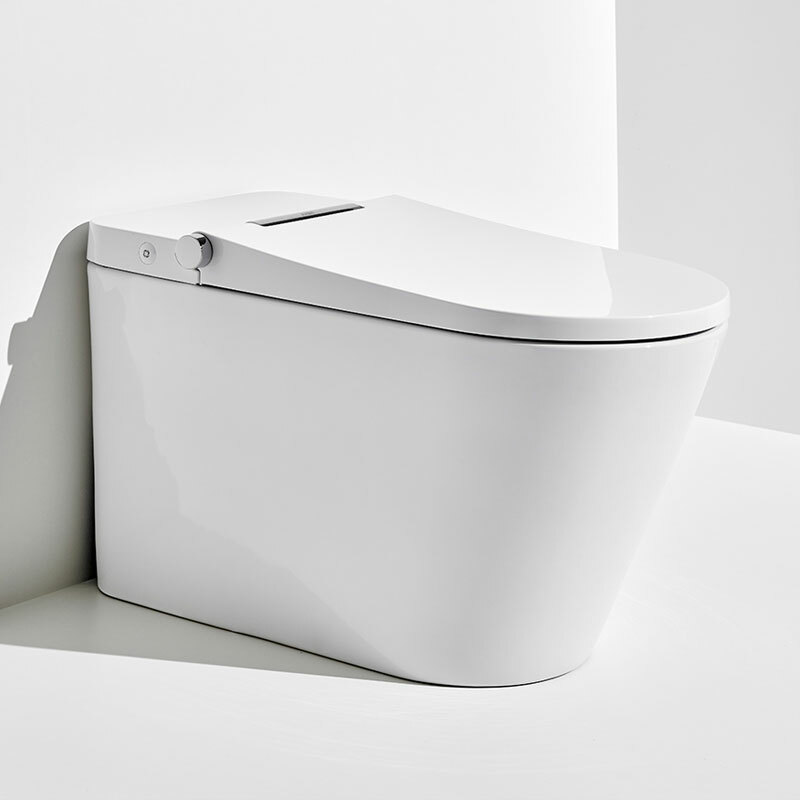 As a floor-standing toilet AXENT.ONE C doesn’t only look good, it has many intriguing functions that other brands don’t have. 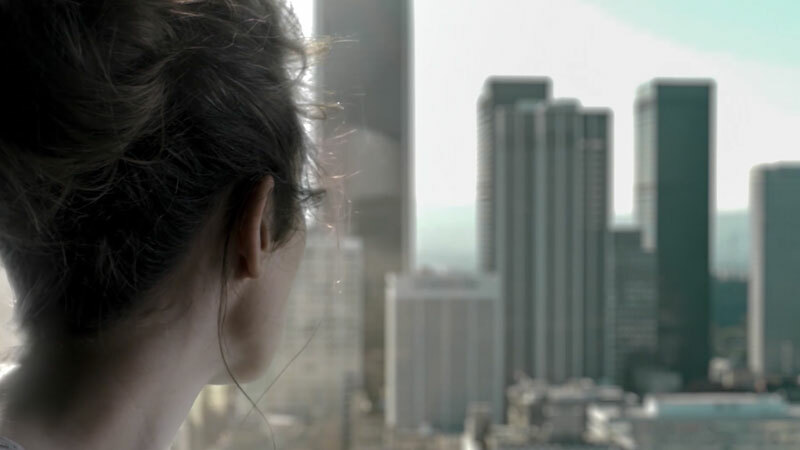 Take the ingenious auto lid function for instance. The lid opens and closes automatically when you want it to. It’s like magic! But that is not all. 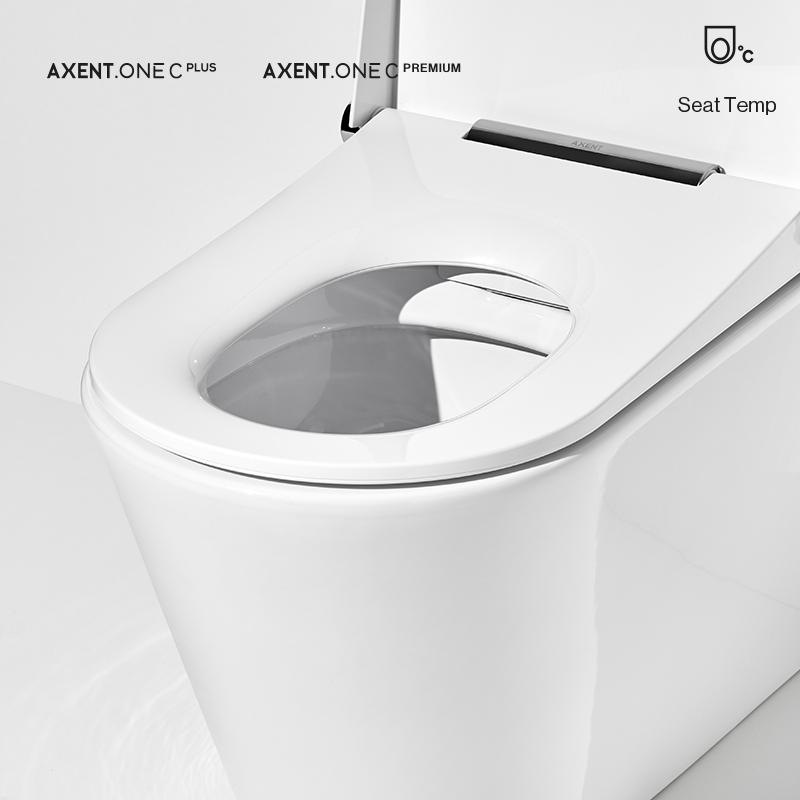 AXENT.ONE C has a rear wash, Lady wash, adjustable water temperature, adjustable water flow-rate, oscillating spray, warm air dry, seat heating, deodoriser, a night light and many other features. 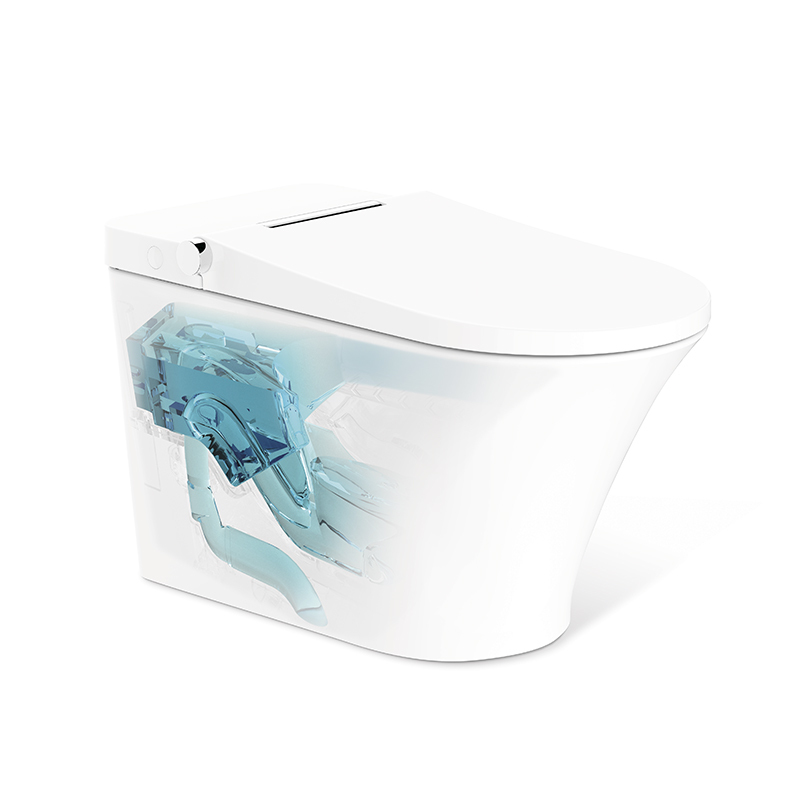 A single button, under the toilet bowl controls all the functions and is as easy to use as the crown on a Swiss timepiece. You can of course use the remote control if you prefer.